"What is Classical Chinese Dance?" A.The movements of classical Chinese dance are rich in their ability to express a variety of feelings, be it happiness, sorrow, joy, anger, grief, delight, the emotions that come with parting and reuniting, insanity, infatuation, sickness, tipsiness, solemnity, ignobility, majesty, as well as civil, military, and other personalities and stories. Several thousand years ago martial arts (wushu) appeared in China. At the time, many types of performing arts were influenced by martial arts movements, techniques, and flips. The original forms of many classical Chinese dance movements were similar to those of martial arts; it was just that they were performed differently, and what they required was different. Later, during the five thousand years in which Chinese culture was being established, classical Chinese dance was being continuously enriched, and that is what brought forth the “bearing” aspect of classical Chinese dance. And it is also the source of the style that classical Chinese dance took on over the process of its being passed down. The way a person from a particular ethnic group moves contains that group’s own distinct qualities, so Chinese people’s movements naturally have a Chinese feel. But actual study and practice have shown that, through specific training in “bearing” and “form,” people of other ethnicities can also acquire this feel. Classical Chinese dance was handed down in a variety of ways, with plays being chief among them. Historically, throughout the different dynasties dances performed in the imperial court had different techniques and characteristics. Among the populace, dance spread mainly through imitation, while with street performers it spread mainly through martial arts techniques. Before the Qin and Han dynasties (spanning 221 B.C.E. - 220 C.E. ), there were entertainers who performed martial arts routines. And acrobats mainly used flips. During the Tang and Song dynasties (spanning 618 C.E. - 1279 C.E. ), much of the dance and street performance contained early forms and techniques of classical Chinese dance. Flips, in particular, were used by practically all street performers. This is yet another example of how, within Chinese culture more broadly, the techniques of different art forms have influenced one another. 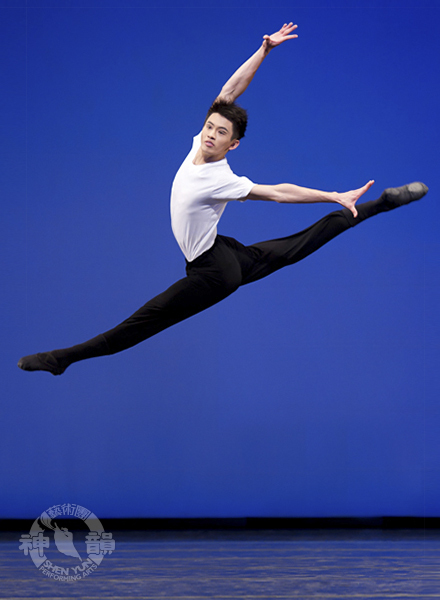 Classical Chinese dance has also had a tremendous influence on athletics. Before the 1970s, training in rhythmic gymnastics, the balance beam, and bars involved only simple ballet movements and physical training. Then, China’s gymnastics teams took classical Chinese dance techniques and flips, and used them on a large scale in gymnastics events. As soon as these techniques appeared in international competitions of the 1970s, gymnasts worldwide were astonished. Some Chinese contestants managed to win five all-around gold medals at once. Gymnasts around the world started learning the techniques and flips of classical Chinese dance and, overnight, gymnastics competition was pushed to a higher level of technical skill. THE MANY DISTINCTIVE ethnic groups within China and around her borders provide a wonderful array of material from which to choreograph and compose. These dances might whisk you away to the plains of Tibet, the shores of a Dai village, or the sprawling plains of Mongolia. 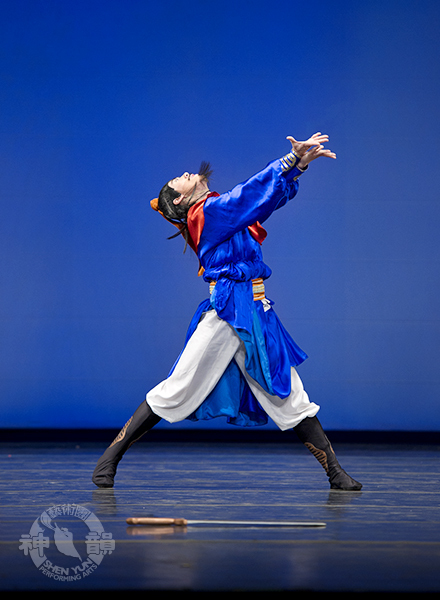 Left: Principal dancer Chelsea Cai, with Shen Yun New York company, in The Tibetan Dance of Praise from 2010. THESE DANCES GIVE dramatic portrayal to the cherished stories of past and present. Their figures embody the most exalted virtues of Chinese civilization, and convey a message or moral that is still relevant in our day. Many have inspired people for generations, such as the tales of heroine Mulan and general Yue Fei. 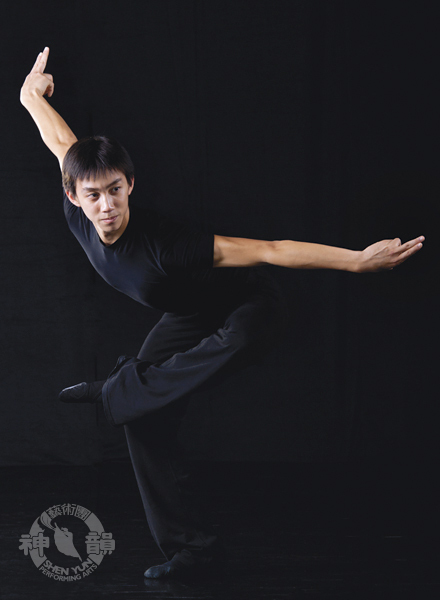 Left: Principal dancer Rocky Liao as drunk monk Lu Zhishen, in The Heroic Lu Zhishen from 2010.
spins and other difficult tumbling techniques, forming an extensive and independent dance system.